Don’t let the slow Tuesday routines get you down, especially since Beetlejuice – The Musical will be coming to Winter Garden Theatre in New York City New York for a live theatrical performance. This awesome evening of entertainment will feature some of the greatest performers on this side of the country with their unique blend of theatrical training and cultural influence which makes this Tuesday 20th August 2019 the best chance you have at experiencing elegance, style, and raw talent and passion. Beetlejuice – The Musical draws in sold-out crowds at most of their shows and win new fans at every appearance. Already critics are calling this event the can’t-miss-show of 2019. So if you want to break away from your dull Tuesday routines, then Winter Garden Theatre has the solution for you. Click the Buy Tickets button below to make sure you can catch Beetlejuice – The Musical live on Tuesday 20th August 2019 at Winter Garden Theatre in New York City. Tickets are already selling out so make sure you don’t miss out on the conversation and order your tickets today. Tuesday 20th August 2019 is the day to celebrate outstanding theatre performances by joining a full-capacity crowd of fans in seeing Beetlejuice – The Musical live at Winter Garden Theatre in New York City New York. 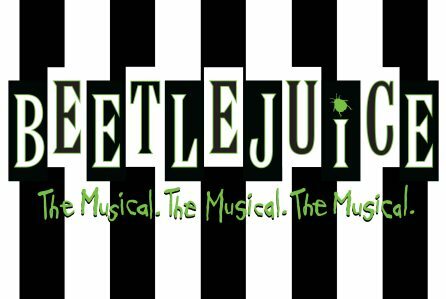 This event brings the relentless talent and passion for theatre excellence that could only come from a high-profile event like Beetlejuice – The Musical. But the show itself isn’t the only reason why fans are eagerly awaiting this Tuesday night premiere. Winter Garden Theatre is ranked highly in all of New York as being one of the most convenient venues for entertainment thanks to their easy-access parking and the wide variety of fine dining options that are on the same street and block. Critics also call this one of the greatest full-service venues in the business, as patrons and guests will be treated like celebrities thanks to the friendly service staff and the high-quality bartenders who will keep you refreshed with your choice of alcoholic and non-alcoholic beverages.